‘Psychology of Violence’ is one good topic to do research in Psychology or any other social sciences. I am saying ‘Good Topic’ not because it is interesting to go through the details or academic quest to study but because it is the topic so so prevalent in today’s world. Who knows a good research of this, understanding of the outcome, realization of the causes of Violence and ways to lessen it can change our world into upside down in regards to violence. I am wondering how strong the emotion of ‘hatred’ can get. How can anybody opt for killing people. What’s wrong with the mindset? And why so much of violence in our world? Where does this violence stem from? Can’t we just cut its roots and never let it grow? Why it is manifested all over the places? And, uncountable questions always strike my head each time I hear voices regarding aggression and killing. I believe and I know many of us believe, Violence should never be an option, not in Nepal, Not in Libya, Not in Paris! And, not in any forms, Not in ‘State Brutality’, Not in ‘Blockade’, Not in ‘Bomb Attacks’, Not in ‘Simpler Threats’. I do not want to talk about Big Attacks here nor I want to write how to make India be little less-captive towards Nepal. I do not know how to do this, I do not hold the capability of talking these bigger issues with comfort. But ‘psychology interested’ in me is wanting to start with a small problem. 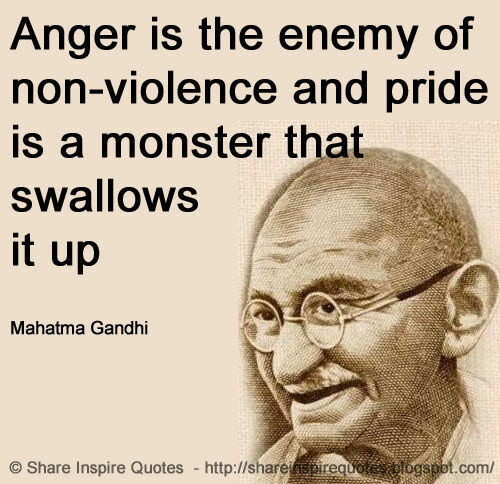 Violence within our ourself- Anger! Face it- Anger is a fact of life. Our world is filled with violence, hatred and aggression. Psychologically, many theories of human development focus on the infant’s struggle with anger and frustration and the primitive fantasies of aggression, guilt, and reparation that result from these feelings. In essence, we grow up with anger right from the beginning of life and may be this is the reason of all those violence all over the world which are manifested in different forms. Here, I want to share some instances would help us to control the anger. If next time if you think this emotion of rage is getting over you, just try these, who knows it might stop whole circle of violence and aggression! The FIRST STEP can be: learning a healthy response to feeling of anger. For example, when you get angry you don’t really allow yourself to feel your inner vulnerability and hurt. All you can think about in the moment is your desire to get revenge, to defend your pride, to do something—anything—to create the feeling that you have power and importance. But, if you know the healthy responses which is good for you, it can let you ventilate anger easily and without harm. Expressing and Getting Rid of it can be one way to tackle it in healthy way. Here expression means expression in a positive way, like talking, writing, expressing your energy in different thing, running, gardening or whatever you feel release of energy. Another step can be : Take a break, deep breathe and visualize a happy face. If your heart hammers with rage, slow it down by controlling your breathing. Deep breathing is one of the most important steps in meditation, which can contribute to controlling emotions. Even if you do not fully “meditate,” using deep breathing techniques can offer similar benefits. Then visualizing a happy face or happy moment can be a get-away from the moment of rage you are going through. Next step you want to try if you are young-angry-man is: Learning Assertiveness and sharing of your rage with the person you trust. If you try to be in someone-else shoe and understand them, it might reduce the conflict from your side. Like wise, if you learn positive affirmation it can change the whole picture of the situation. Likewise sharing your rage to the person who will listen to you non-judgmentally can be plus point in calming down your anger. Anger is strong emotion. It needs loads of practice to control or vanitate in the effective manner. And, it can be more disruptive if it is the way you deal with situations. So if you are aware of your anger pattern and you want to control it. 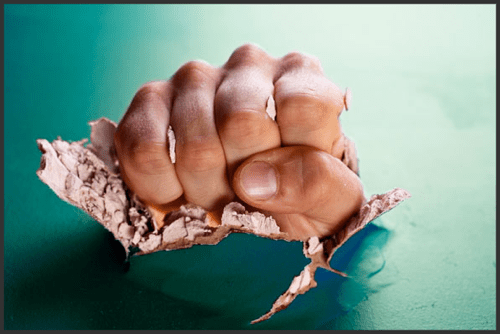 Another Step can be: Managing Anger Journal. It sounds funny to be keeping the record of the moment when you are getting angry. But, if you seriously do record your anger, the causes and outcome of it for few days and later understand the pattern it will help you to realize what can be the cause of you anger and what you can do instead to lesson the causes. If you are getting angry with no reason, the anger journal can help you to realize it and next time when you are in verge of getting furious, you will say- Oh! Am I getting angry with no reason like last time. I should stop! Also if you are watchful to you anger, it can help to reduce the early warning system for future conflicts. It can also help you determine if your anger is due to something deeper of not! BUT, if you are getting angry with no reason and for a long time, you should start seeking help of professional later. Still, if you can manage and do self help, first try! You never know just trying can reduce the bigger conflicts and bigger picture of violence in the world. Take care!